Buying a property is among the most momentous decisions that people take in their lives. This is because many people tend to use the same property for generations. It is also important because the process of purchasing a property is complex as well. Therefore, many people seek the help of real estate agents. These agents help to guide the buyers through this tricky process. Real estate agents obtain the appropriate licences for handling real estate sales and transactions. These professionals obtain their licences after completing their real estate licence course in Sydney or other Australian cities. Some real estate agents might work for real estate brokers. These brokers could be individuals as well as companies. The process of purchasing or selling a property can be quite complex. It involves having a great deal of awareness about the market. It also entails possessing a vast knowledge. This is especially so in the case of all the regulatory and legal aspects concerning the sale or purchase of property. 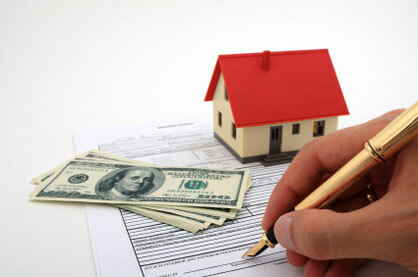 As such, it is quite natural for real estate transactions to be delicate and complex in nature. Therefore, people take the help of real estate agents. They expect the agents to possess a thorough knowledge of all the processes and other requirements. For this reason, many real estate agents go through various modules of real estate training in Sydney and in other cities across Australia. Real estate training courses in Sydney and other cities often help real estate agents, brokers and appraisers get the right and up-to-date information. For example, they help these professionals gain a proper understanding of the market conditions. Then, they help them gain an understanding of various technical and regulatory aspects associated with the sale or purchase of property. Real estate courses online therefore, help these individuals acquire different levels of competence in the real estate sector. This in turn, helps these individuals to obtain (and maintain) their professional certifications. These certifications distinguish these professionals from others in the field. They highlight these professionals as being qualified enough to handle real estate transactions. In the past, real estate professionals often enrolled in various institutions. These institutions offered courses on various subjects in the domain of real estate. After attending the course, these individuals would take the licencing exam. Nowadays however, people prefer taking the online courses available on the internet. This is very useful for working professionals. It helps these people acquire the requisite levels of competence and certification. That too, even while they manage their businesses. Whether you’re looking for retail sales courses or retail operations courses for your business, the Australian Salesmasters Training Company offers training courses for a wide range of industries. We provide a variety of innovative products and services to our clients. In addition, we have a team of accredited facilitators, who deliver modules based on various skills and techniques. Based on your requirements, they conduct these courses in-house, at public venues, via distance learning or even via e-learning. In addition to various sales courses, we offer real estate courses that range from $88 to $1,995. Therefore, if you’re interested in obtaining the right certifications for your business, call us at 02 9700 9333.